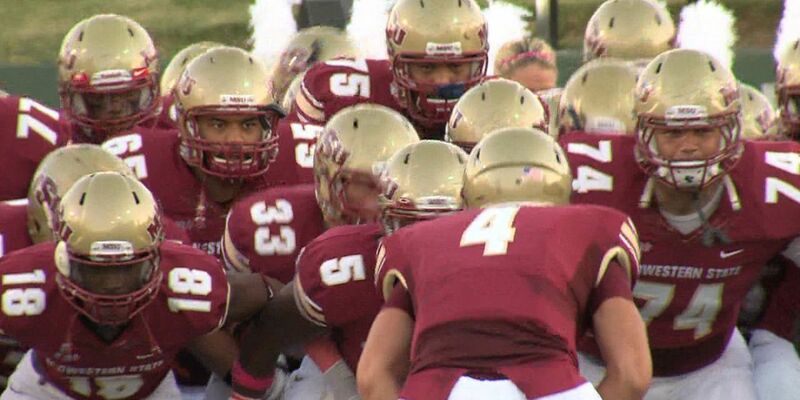 WICHITA FALLS, TX (KAUZ) -- Midwestern State University is discussing plans for a new on campus stadium, that would host home football and soccer games. The campus already has multiple projects in progress which has some board members feeling worried about the campus taking on too much debt. President Shipley said, she wants to bring a smaller stadium to the campus and hopes to raise the funding through donors. "I went out and asked what a field and stands cost with a nice surrounding, then we can build a prettier stuff later," said Shipley. She also says it's important to know that each current project has been funded differently, and has not been coming from the same funding source. Her hope is by having a stadium closer to campus the university will continue to grow. "You also graduate more students because they stay longer and they stay on the weekends because there something right there for them to do," said Shipley. The project is still in the early stages, with a location still to be determined. The goal is to keep the budget for this stadium within $7 to $10 million with the funds coming from donors. She believes the stadium won't just benefit the university, but the community of Wichita Falls.